When Seiji Aino winds up written in the Kiss Note, he goes from a lonely nobody to a girl magnet! Cupid Guri accidentally writes his name in her book and rather than set him up with his crush, she decides to join the fun. 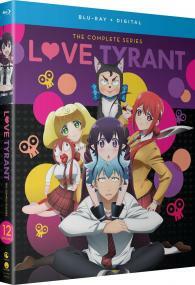 But between yandere Akane, hot-headed Yuzu, and the cupid herself, Seiji isn’t in a lover’s paradise!